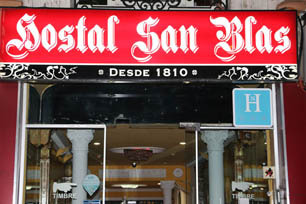 The Hostel San Blas is located in the centre of Madrid. 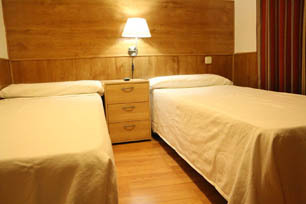 Close to the Hostel you will find the main museums and sights of the city, and the Huertas district of bars and the Joy and Kapital nightclubs. Take any road or motorway to the centre of Madrid. Take the exit for Glorieta Carlos V or Estación Atocha. From the Glorieta Carlos V go up c/Atocha. Taxi: Easily taken at the airport. The journey takes around 15 – 20 minutes. Train: It leaves every 10 minutes and takes 30 minutes. Change to line 1 and get off at Atocha. The Hostel is 200 metres away. From the Atocha train station,bus direct expres. Cost € 5 per person. 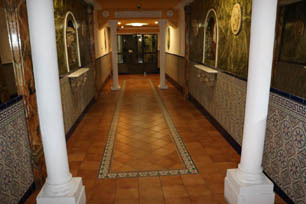 The Hostel San Blas, located in the centre of Madrid, is housed within a completely renovated 18th Century historical building, and one of the most famous wells in Madrid can be found inside it.